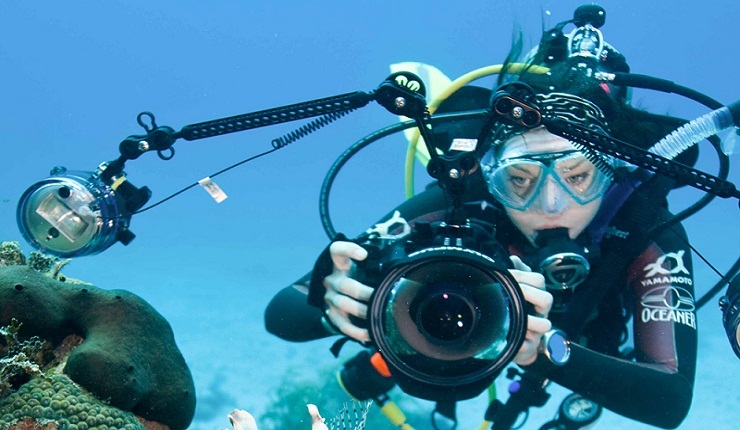 The growth potential in the global waterproof camera industry is immense. The growth in the coming 5 years would be very high. There are significant developments taking place in the waterproof camera industry especially in the technology sphere coupled with high degree of investment by market leaders which aim to introduce new brands and products in the market to gain more market share. One of the other key drivers in this industry is rising average purchasing power globally. Alongside this, huge growth in the travel and tourism industry is also an important driver for this industry as international tourists carry waterproof cameras for their leisure. Many waterproof camera are used while water surfing and diving which adds boost to the global demand. The biggest threat to this industry is the rising smartphone market and essentially rising waterproof smartphone market. Most of the smartphone manufacturers are coming up with waterproof technology which could slow down the growth of the waterproof camera market due to the possibility of substitution with the phone. According to the study, ‘GLOBAL WATERPROOF CAMERA MARKET ANALYSIS & FORECAST 2017 TO 2023’, some dominant players in this segment are Fujifilm (Japan), Nikon (Japan), Go-Pro (U.S.), Canon (Japan), Kodak (U.S.), Honeywell International Inc. (U.S.), Panasonic Corporation (Japan), Robert Bosch Gmbh (Germany), FLIR Systems (U.S.) and Olympus (Japan). The industry for waterproof camera market has multiple segmentations. Based on the range of camera, 10-30 m camera had the largest market share in the demand. Other camera ranges include 30-60 m, 60-80 m and 80 m & above. However, other segmentation is on the basis of usage of these cameras. These include security and surveillance, media and entertainment, travel and tourism and others. The largest market share in terms of application is held by travel and tourism industry which is a huge contributor to the global GPD as well. Key players also divide the globe into different geographical locations in order to obtain the benefit of maximum demand. North American region is the highest contributor to the demand followed by Europe and Asia – Pacific region. The North America produces the highest demand due to the presence of major players in the region. The travel and tourism industry is showing strong signs in the European region and hence the waterproof camera demand would grow in the region at a fast pace. And due to the growing use of special media and improving technology in Asia-Pacific region, the demand will show the highest growth in this region. The target market of this technology is quite extensive. This includes Technology standard organizations, tech investors, research and development companies, managed service providers, market research and consulting firms, solution providers and system integrators. The entire market for waterproof camera has been captured by only a few companies who have huge investment capabilities. These companies are investing readily in new projects in order to maintain and grow their overall market share. Some companies are even developing a camera type which does not require to be dipped into water but would still be able to penetrate the layer of water to provide images of underwater surface, animals etc. This industry is expected to grow immensely in the future due to the newer technologies surfacing each day. New companies need to compete with huge corporations who have a strong base not only in terms of product quality but also in terms of cost effectiveness.